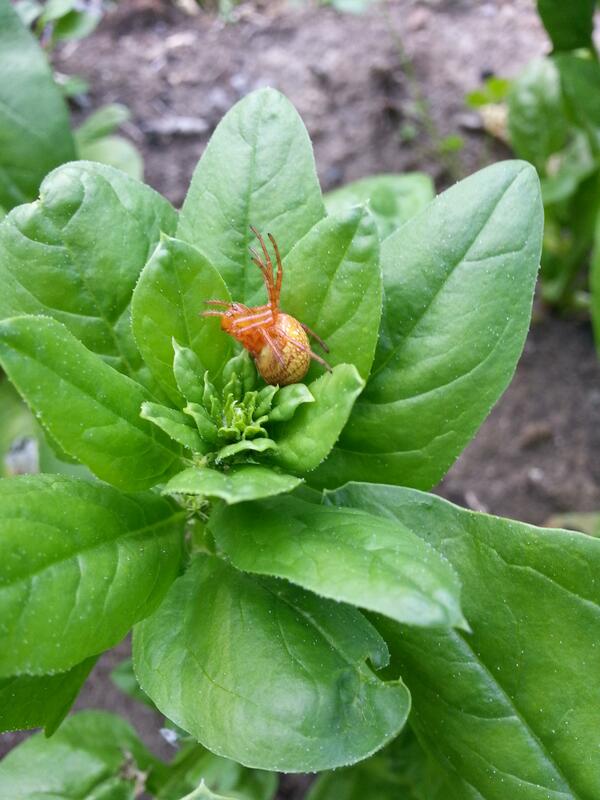 This never before seen Spider was sitting on one of my Spinach plants! I love spiders! Any idea if its poisonous? It looks pretty harmless.